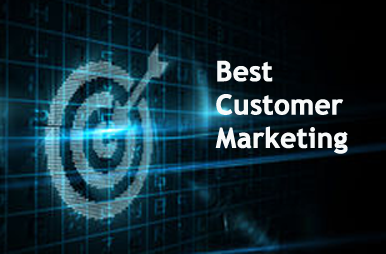 Best customer marketing (BCM) involves spending more time, effort, and money on your best customers in order to maximize the return on marketing investment. Through Loyalty Programs you are able to target your best customers and get to know them. In this way you can achieve and maintain your loyal audience, reduce advertising costs and increase your sales! 1. Reward and retain your existing customers. Giving something back to your best customers has become a competitive necessity in certain industries. It’s cheaper, easier, and more effective to retain current customers than it is to acquire new ones. Studies have shown that it costs 6 to 7 times more to acquire a new customer than keep an old one. It can be more profitable to lose a bad customer, considering you are spending more to service them while you can gain new ones. 3. Win back lost customers. Reaching and convincing lost customers to return can be difficult but is a greater chance to success than acquisition. Think about the advantages you have with lost customers that you don’t have with prospects. Simply put, you already know their buying habits. You have their past purchase history and you also know in what way they prefer to communicate with you. Advertising based on segmentation of a loyalty database is highly targeted so you don’t have to spend your money on flyers that will be thrown away. Moreover, Loyalty use online promotion ( email marketing, Social Media, Applications etc) where obviously costs are lower. 20 % but they generate 70% of your sales. Moreover, they are more likely to share your business and promote your brand.